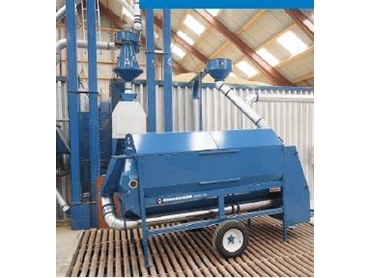 The Kongskilde DPC40 Combi Grain Cleaners from De Vree improve grain quality by rapidly and effectively cleaning farm crop. 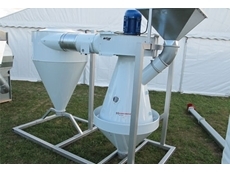 The combi grain cleaners use both screen and aspiration cleaner technology with a throughput of up to 40 tonnes per hour pre-cleaning. The machine can be used to handle between 6 and 30 tonnes per hour when removing small or foreign grain. This is determined by the pre-set type of grain and the percentage of screenings. They are most suitable for applications such as [re-cleaning and screening of wheat, barley, oats, canola, peas, lupins and beans. 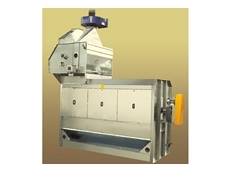 A compact design with a scalping screen that one placed inside the main screening barrel results in a smaller physical cleaner which allows for easier installation. A single outlet which handles all screenings. 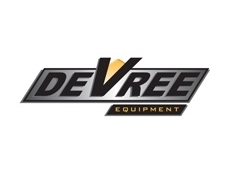 Electric, PTO, Engine, or Hydraulic drives to choose from. Easy set up and screen replacement. Economically good with low cost and low power requirement. Choice of the base stationery unit or with the addition of several transport systems allowing the cleaner to be fitted to or added into your own custom designed cleaning operation. Reduced dust levels through the aspiration actions. Fully enclosed safety shields and choice of added options available.